Does your boiler need maintenance? The Clim Var Froid team cleans and services oil fired and gas boilers across all the Var region. 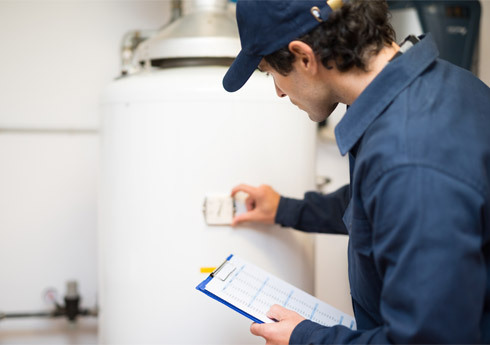 It is imperative to check oil fired and gas boilers on an annual basis. Regular maintenance, executed by a certified professional, guarantees your safety, comfort and peace of mind, as well as ensuring energy savings. Risks of poisoning are prevented and the operational life of the installation is prolonged. The Clim Var Froid technicians provide expert maintenance services, the cleaning and inspection of parts that are subject to wear, checking all the safety aspects, cleaning the inside of your boiler and adjusting its settings. During this service visit, we can also give you advice on energy savings and tell you whether you should consider replacing any of your equipment. With Clim Var Froid, you don't have to commit to a contract for boiler maintenance. You're free to call our dedicated after-sales services. Our team will contact you annually by email to offer you a maintenance and cleaning quote. If this quote is acceptable to you, we'll schedule you in for a service visit.